Repulp S.r.l. 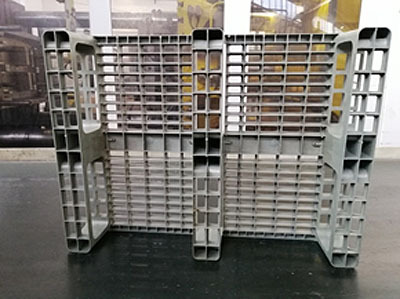 is conducting tests of pallet production on an industrial injection moulding machinery. The machinery is fed with plastic granules from pulper waste. Heterogeneous plastics from pulper waste, after mechanical selection, extrution and filtration and granulation, are moulded with complex structures. Having achieved this goal, the next step is to improve blends properties, i.e. fluidity, resilience and hardness of solidified plastics. Life-Ecopulplast project, through Repulp S.r.l., spin-off of Selene S.p.A., is becoming an an industrial reality.